Chalicea, so this is going to be on the easy side, right? After last week’s labours I’m guessing we could all do with a rest. Only ten clues with any sort of gimmick, and that’s an extra word. I can cope with that. And about the grid fill there’s really very little left to say, except that it was duly filled. Those extra words… According to the preamble take the ones to the left and right, and the initial letters, follow the resulting instruction to fill the unclued squares. I’ve evidently picked the wrong ones because what I’ve got doesn’t make a whole lot of sense. This would be worrying if it wasn’t pretty obvious what’s needed to fill them. Because we evidently have “these dark”, “Jerusalem“, and “satanic mills” across the centre of the grid. Not my favourite hymn. Far from being so, but I’m guessing most of us spotted it straight off? At this point ordinarily I wouldn’t have bothered to try and find all the correct extra words, but duty calls. As they seem to be thematic in the sense of being words from the poem, they’re not too difficult to spot. Land, ancient, hills, etc. And that message? “Complete Blake’s vision“, which is what we’ve done. There you go, nice and easy this week. 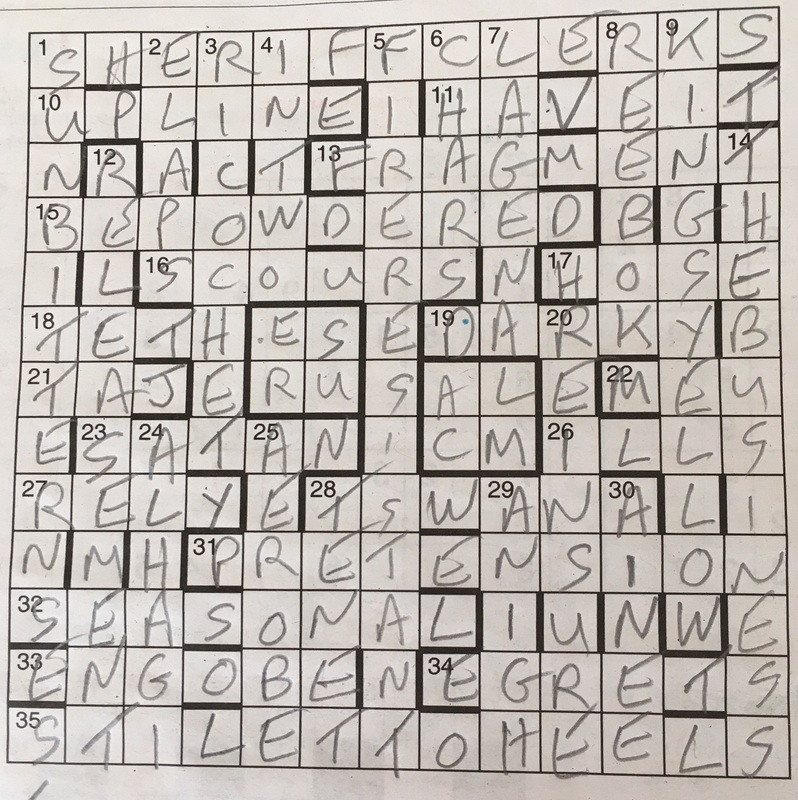 Top marks to Chalicea for an enjoyable puzzle, and to Nimrod for a bit of well judged scheduling. It did mean the other half was subjected to a couple of hours of avant garde cinema, but I’m sure she’ll forgive Chalicea that. Funny how one sometimes picks up on things without realising it – I was thinking Blake pretty much from the outset, and in retrospect that’s because of those embedded words which have a distinctive ring to them. Yes, nice and easy this time.